…our lineup for the entire summer has been released! We have some incredible fun ready for you on the shores of our beautiful Lake Mendota between the months of May and August. Check out all of our concerts (along with all the Lakeside Cinema movies and other special events) at TerraceAfterDark.com, for more detailed descriptions, times, contact information, band websites, and more. This website will become your go-to resource for all things “Terrace”. As always, WUD Music will feature a weekly Open Mic Night, Wednesday nights from 7:45-11 PM. Singing, instrument playing, Comedy, poetry all welcome. No house instruments provided, backing tracks can be accommodated. We will also be bringing back our much-loved Thursday Bluegrass Series, taking place from 5-7 PM. And we have some INCREDIBLE headlining acts coming through, bringing you live music from 9:30-Midnight on every single Thursday, Friday, and Saturday night. Get pumped, you guys. It’s going to be another great summer. Fri 6/6/14 JR Donato w/ L.E.X. Hopefully everyone was able to breath a sigh of relief after their end-of February midterms, and for those of you with midterms in the near future, may you study long and prosper. It is getting towards that time though where everyone just pushes through these last few weeks of March before their much-anticipated spring break. But did you know that you can find insane entertainment before AND after spring break? Posted on February 2, 2012 by T.J.
I’m sure it needs no introduction, but Behind the Beat is our jazz and blues series that takes place at 5 pm at Der Rathskeller every Friday. It’s a perfect atmosphere to have a pitcher and listen to some music while you kick back with some buds after class. It features some of the best acts of their genres, local and otherwise. Pull up a chair! Want to get a taste? Check out the Tom Ryan Jazz Combo tomorrow. 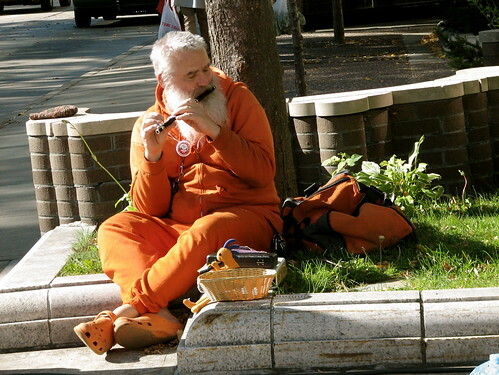 You know Tom as the orange-jumpsuit-wearing piccolo legend that you can often catch playing tunes on State Street. Check out the full schedule below, and make sure to come out to TRJC tomorrow.